Silverhawk Aviation welcomes Dave Stanley as the Director of Sales and Marketing. Dave has 15 years of experience in omni-channel retail sales and multi-unit retail operations. In that time, he has overseen the strategic planning, creation and execution of measurable marketing efforts in all traditional and digital mediums. Most recently, Dave was the VP of Sales and Marketing at HobbyTown Unlimited. With HobbyTown he was responsible for providing a clear vision of the HobbyTown brand while overseeing all national and local marketing strategies and execution. In this role he led both internal sales and marketing teams while managing multiple outside strategic partners. Dave also maintained all sales and marketing budgets to insure a positive ROI on marketing spend. Dave currently resides in beautiful Hickman Nebraska and shares a home with his wife of 17 years Diana, son Benjamin (11 years old) and two Boston Terriers, Pete and Daisy. In his spare time, he serves as a board member for Norris Wrestling Club and is an avid motorcycle enthusiast. We would like to introduce a new addition to our Avionics install team, Matthew Foster. Matt recently moved to Lincoln to continue his career in Aviation. Matt grew up about 20 minutes west of Omaha in Yutan, Nebraska. Matt has three children, Sarah, Norah, and one on the way. His wife Kalin is the rock of his family that keeps the family running smoothly. After achieving a high school diploma, Matt attended ITT Tech and graduated with an associate’s degree in Computer Electronics Engineering Technology. Matt worked at Malnove as an electrical technician for two and a half years. After the company had a mass layoff, he decided it was time to serve his country so he joined the hardest branch in the world, The United States Marine Corp. Matt served 8 years in the Marines as an F-18 A, C, and D Power-line Mechanic. Within that time frame he traveled all over the world and did one tour in Iraq. In his travels he experienced all sorts of different cultures and met some very interesting people. While he was serving his country he also was pursuing a Bachelor’s degree in Aeronautical Engineering. After the military Matt moved back to Nebraska to be closer to family. He then transferred to the University of Nebraska Kearney and finished his bachelor’s degree in Business Finance. After college, he worked at the US Post office for a period of time but decided he desired to get back into aviation. He started working at Holdrege Aviation learning all aspects of Air-tractors. In November of 2016 he sustained a significant injury while hunting. During his time of healing he studied for his A and P license and received it in May of 2017. Soon after receiving his A & P certificates, Matt received a very exciting offer to be a part of the Silverhawk team which he thankfully excepted and has been very happy ever since. So next time you’re in the shop, stop in and give Matt a warm aviation welcome. Silverhawk Aviation FBO is proud to announce the addition of John Hollins to the Line Service Staff, and Danielle Moulder to the Customer Service Staff. Additionally, Kevin Laughlin has been appointed as Line Service Supervisor. John Hoillins, a US Navy Veteran and college student, is a welcome addition to the line service team. He is currently attending Southeast Community College and works at United Airlines as a baggage handler at Lincoln Airport. John has been assisting us even as he works another job and has school responsibilities. He fosters an excellent work ethic and is a great person to have on staff. Denielle Moulder comes to us with a solid resume of customer service in a client facing and inbound call setting. She was chosen for her outward and positive personality and her sense of humor. In her training weeks, she has shown that she is a well capable part of the CSR Team. She has a 3 year old son that she says is going on 20 and enjoys spending her spare time with him. Kevin Laughlin has been appointed Line Service Supervisor. He comes to us from Jet Aviation at Dallas Love Field ( DAL ). Kevin has a cumulative 8 years’ experience in Line Service Operations, Process Controls, Quality Controls, and Leadership. His experience was gained under Texas Jet and Jet Aviation. He has a Daughter still in Dallas, and his dog Thor which has become the line service mascot. He is a welcome part of the leadership team in the line shack. Born and raised in Columbus, Nebraska, Kurt Farmer always had a bat in his hands while looking up at the skies. He had aspirations to play baseball for the Huskers and to become a pilot, so he did both. After graduating college at UNL as a student-athlete, Kurt headed up to the oil fields to earn enough money to fulfill his dreams of one day becoming a pilot. After two years of hard work in the oil fields of North Dakota, he headed to New York City to start his flight training. While in the Northeast, Kurt instructed, flew for a charter company, trained the Navy and also got married to his beautiful wife, Libby! After he and his wife had achieved their goals out east, they felt it was time to get back to the good life. The two are happy to be back home! Kurt is very humbled and excited to join the Silverhawk family so he can continue to learn and grow his skills as a professional pilot while working with great people. Shane Cassell moved to Lincoln from Cincinnati, Ohio. He decided he wanted to be a pilot when he was just a young kid, and so when it came time for college he attended at Andrews University in Southwestern Michigan where he got his licenses and instructor certificates and a bachelor’s degree in Aviation. After graduation in 2014, Shane did aerial photography during the summer out of Northwest Indiana, and flight instruction during the winter in Northwest Indiana and Cincinnati, Ohio, before finding Silverhawk. Other things about Shane that are not flying related, he enjoys traveling, camping/hiking, playing guitar, and Cincinnati Bengals football! Matthew Weisner started flying in 2015 when he earned his Private Pilot’s License. He attended Doane University where he received his Bachelor’s Degree in Business Management. Matt is a native to the Lincoln area currently residing in Ceresco and has been enlisted in the Nebraska Air National Guard for 11 years as an Avionics Technician on the KC-135R. His interest in flying airplanes grew from working on avionics systems. He has been married to Michelle for six years with three daughters Olivia, Braelyn, and Cessilia. In his spare time he likes working out, reading, and spending time with friends and family. Jonathan Hrabik, originally from Emporia, KS attended Kansas State University with a degree in aeronautical technology. Upon graduation in 2010, he became a flight instructor at Lawrence, KS. After building flight time, Jonathan accepted a position at AirMd Lifeteam as a medevac pilot starting as First Officer and eventually upgrading to a Captain. 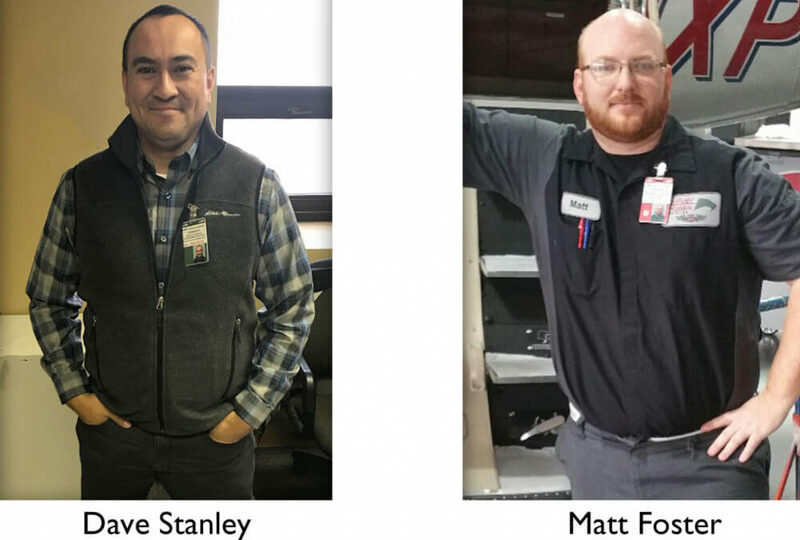 After three years as a medevac pilot, he was offered a corporate pilot position with a feed yard in western Kansas where he spent another three years. Jonathan enjoys golf and the outdoors when he’s not working. Austin Brooks has lived in Lincoln his entire life and has always enjoyed aviation since a very early age. Austin started flying when he was 14, and he obtained his pilot certificates and a business degree from SCC while working on the Line at Silverhawk. Austin took his first flying job flying survey planes around the country and did that for about a year. He then applied back at Silverhawk for a pilot position and is very happy to be back! Please welcome all of these promising people to our team!